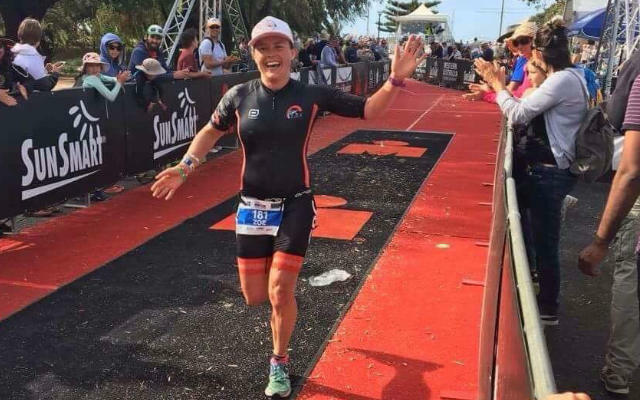 Our triathlon coaching is focused on athletes who want to maximise their time and performance by following a program tailored to their individual goals. Programs are created by an experienced and qualified coach who is dedicated to achieving a balance between sport and work/ family commitments. As part of the service athletes get access to Geelong- based squad group triathlon, cycling, running & swim squad training sessions. These sessions are important as they are a chance for athletes to train hard in a supportive environment. You can often find that little bit extra when training in a squad as opposed to going solo. But the main benefits are the social aspects, safety, technical advice and support. You can attend on a casual basis if you want, and access all of our squad training for only $25 per week! Beginner or Shorter Distance triathlons can vary with a 300-500m swim, 8-12km bike, and 2-3km run mark. Our programs can be built up for you even if you’ve never even stepped into a pool, ridden a bike, or run further than the letterbox! With GPC Squad, we believe ANYTHING is possible, and can tailor a solution that matches your current level of fitness (or unfitness!!) and take you to the next level, so you can do your chosen event with a level of confidence you never thought possible! Swim 750m, Ride 20km, Run 5km. Flat out! Often the first race or event that people do after the beginner races, but also definitely a stand alone event to target outright!! GPC Squad can get you moving towards the best result your body and lifestyle will allow. Swim 1500m, Ride 40km, Run 10km. Do it at your pace, get a PB, or go to the world champs. We’ve done it all, and coached to world champion status! 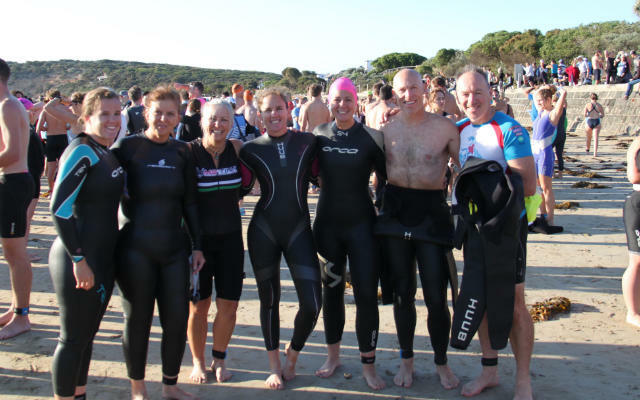 Our triathlon programs will get you well prepared for even the hardest and most challenging conditions such as choppy water or windy and hilly bike & run. Swim 1900m, Bike 90km, Run 21.1km. A longer day at the office that’s for sure. Want to get top 10? We can help you. Want to Break 4 hours? We can help you. Want to just FINISH? We can help you! Our custom programs can get you across the line in your best possible time. Swim 3800m, Bike 180km, Run 42.2km. The longest day at the Triathlon office that’s for sure. 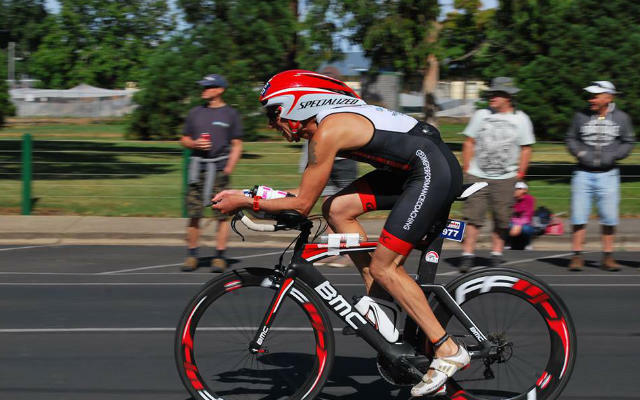 For many, this is a “bucket list” event – and we’ve helped athletes to qualify and compete at the world championships in Kona as well as finishing strong all the way to the finish line. This requires careful preparation including training, injury management and nutrition. 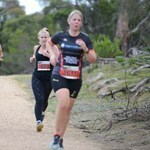 GPC athletes have had many excellent results. GPC Squad won the 2016-2017 Asia Pacific Ironman Division 4 Club championships! You can access up to 12 squad sessions per week (excluding Swim Squad) for $10 per session or $30 per week. Take our program for a two week test drive. This includes all of our Geelong based squad sessions, and one GAC swimming squad session free of charge! 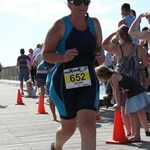 I decided in September of 2011 that I wanted to try my hand at triathlon as a way of keeping fit over the summer break. 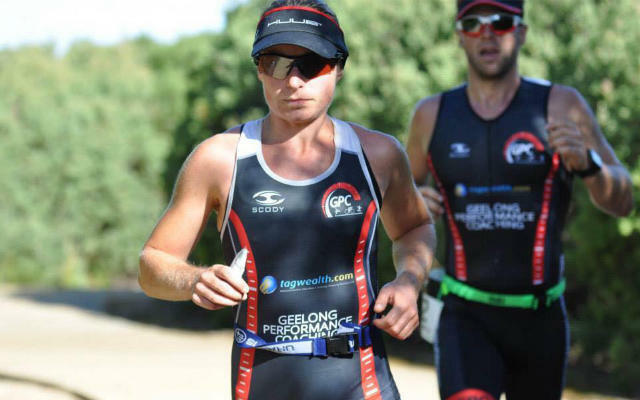 I googled “triathlon clubs geelong”, Enduranceteam was the one I chose, and I could not have been happier with the result. Stephane invited me to his house, we went through all aspects of what was involved in regard to goals, time available to train, nutrition, equipment, everything! I left there knowing that I was in good hands! That summer, I know I bombarded Stephane with hundreds of questions from the obvious to the obscure, and all of which he was friendly and enthusiastic about answering. I always felt that I had someone that was working with my best interests at heart, and if I ever didn’t understand the theory behind the design of a session Stephane would be more than willing to explain the logic behind it. It gave me a lot more motivation to go out and do the work, knowing that I had so many years of experience behind me, ensuring that I would get the best value out of my sessions, and avoid spending any “junk hours” out there pounding the pavement. Stephane took me in, as a mediocre runner, an ordinary cyclist, and a poor swimmer; and over the course of the next 18months he transferred me into an Ironman. I thank Stephane so much for his assistance in guidance in getting me over the line, not only in a time that I was happy with, but also without any serious injury along the way (testament to his guidance and insistence on performing regular core and stretching work as part of a structured program). My nutrition for my race went so smoothly, and it was all designed by Stephane as well. I almost feel guilty when I talk to people who have done IMs without any professional guidance, and have found them incredibly difficult, because it feels like I almost cheated. That’s how good Stephane is as a resource and overall coach. While I hung up the lycra since finishing my first IM in March 2013, I know that if I ever get the urge to start training again and work up to another IM, I’ll be calling Stephane first to see if he’ll take me on as an athlete again. No hesitation! I joined the Geelong Performance Coaching family just over a month ago and have loved every minute! From the very beginning I felt like Coach Stephane understood me on a personal and an athletic level. I couldn’t recommend Geelong Performance Coaching enough for anyone wanting to take their training to the next level, or simply just to enjoy the atmosphere of an encouraging and welcoming group of people. I started training with Stephane & Geelong performance coaching in late November 2014. I had always enjoyed endurance exercise & prided myself on my commitment & fitness. 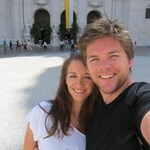 It wasn’t until I met Steph & the team that I realised what commitment really meant & the level in which I could reach. 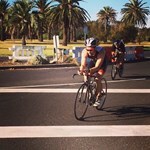 I have had an incredible first triathlon season. 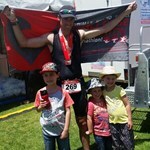 Knocking off 1hr 23min off half ironman time. 17min off Olympic distance. 18min off 1900m open water swim. 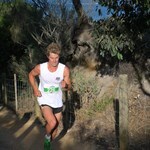 Biggest & most satisfying achievement is qualifying for the Australian age group squad 25-29y category. Steph always puts the utmost faith in each of his athletes & inspires them to be great. I for one would not have been able to achieve what I have without Steph’s leadership, guidance, support & specific training plans. Looking forward to the next few months training in anticipation of the age group world championships. Steph has the ability to see your potential before you can see it yourself. When i first met him, he asked me whether I would like to represent Australia at a World Championships. I thought he had rocks in his head! However, in the last three consecutive years this is exactly what Steph helped me achieve. His guidance and support is second to none. The training, training camps, racing and trips away have provided me with some of the most fulfilling experiences of my life. Steph is a caring coach who takes on feedback to help modify my training to suit my working hours, injuries and other commitments. I believe this is what makes him such a successful coach and the reason why his squad won so many world championship medals. In Chicago 2015, I achieved what I never dreamed possible- winning a world championship in sprint distance triathlon. I attribute my results & success to the hard working, yet fun culture he has developed in the squad. I cannot thank Steph enough for the opportunities he, and triathlon have provided me. I did my first Ironman when I was 27, back in 2004. 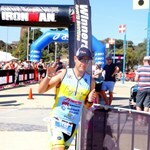 It was Ironman Australia in Forster-Tuncurry. I was green and got through on too little training and not enough nutrition on the day – with a plodding time of 12hrs 24mins. The next time around (2005) I went 11hrs 56mins – again, not having been coached. 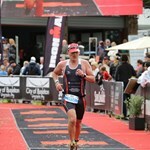 Roll forward to 2011, Ironman New Zealand and age 34. 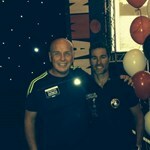 After receiving outstanding coaching from Stephane, I did 10hrs 50mins – beating my previous best by 1hr 6mins! I was thrilled (with PBs in the swim, bike and run). 2015 and I make one more return to Ironman (Melbourne) at age 38, again – under Stephane’s guidance. 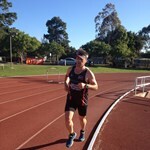 I finished the day with a new PB, by 14 mins – 10hr 36mins (with bike and run PBs). The proof is there – I have every confidence in the GPC ethos. I know they’ll get results for you too! Stephane, doesn’t just coach you, he needs to know you and understand what it takes to get you to your end goal?. Steph, shares not only his wealth of experience, but also his passion and commitment to see you succeed?. Steph has a habit to bringing about the unexpected?. Steph coaching is based on a partnership and expects constant two way communication to bring out the best?. A coach can set an awesome program, but it’s when the coach understands you and works closely with you results exceed your wildest dreams, thanks Steph. Two and half years ago I did my first triathlon. Without any firm ambition in mind other than to do the best with what I had, Stephane and I ended up at the World Championships and we took home the gold hardware. He brought out the best in me, whilst your programs are awesome, it was your passion to see me (and see others) succeed that took my ability to a whole new level. Steph, your programs are awesome, but it was your passion to see me succeed that made the difference in realising my full potential. 18 months ago I started training with Steph, probably the best decision that I have made for myself personally. 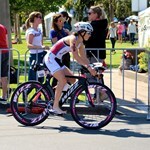 My love for the sport of triathlon has grown under the development & coaching from Steph. Steph’s experience & knowledge in developing structured weekly training schedules not only challenge you but keep you motivated to achieve your own personal goals. ?Steph’s ability to work with each individual athlete whether you are beginner or elite is amazing. Although each individual has different goals & challenge’s it’s the squad environment that is the most beneficial, we all motivate, share and celebrate each others achievements. Triathlon is a journey. Whether your starting with a sprint, olympic, 70.3 or Ironman the common theme is that the journey is your own and unique to yourself. I’ve been working with Steph for around 9 months on my journey (from beginner to hopefully something else one day…..). I’ve appreciated Steph’s insights and detailed orientated approach. I’m a person who likes quantitative feedback and the programs Steph has set me allow me to see the micro changes which Steph is seeking to achieve. I’ve also appreciated how accessible Steph has been when I’ve needed to change things up due to work or home commitments. This has been really valuable as a busy professional with a family. I know the outcomes and ultimate success of our coach/athlete relationship won’t be guided by my initial race results but rather the changes in approach that Steph has made (and will make) to me over the course of this journey both as an athlete and as a person. 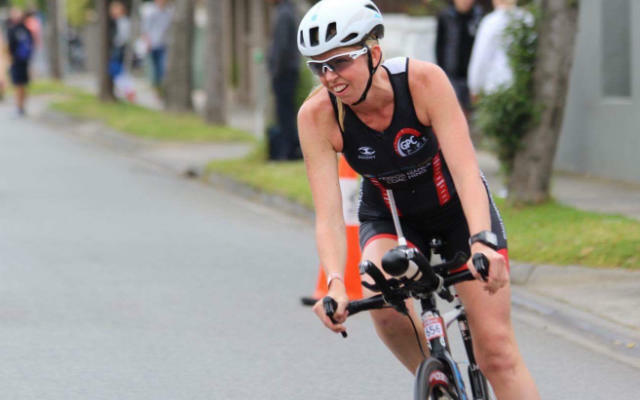 Whether beginner, intermediate or experienced I’m sure Steph can help you on your triathlon journey. I have achieved things I would only have dreamed about! I started training with Stephane in April 2014, and in that short time I have achieved things I would only have dreamed about! It was the best thing I have ever done for myself. I came 6th at OD Australian Titles in 2014 and started training with Steph soon after that and since then he has coached me to win the 2015 25-29 Sprint Australian Titles. I had a long way to go if I wanted to be up with the best in my AG. Stephane knows his stuff. He improved my performance out of sight through his thorough programs but most importantly by providing a hard working, supportive, challenging and fun training environment within the squad. Triathlon is a hard and time consuming sport to commit to. I cant speak highly enough of how Stephane approaches his job as a coach. He understands training, work, life balance. He has pushed me to my limits through training to get me to where I am today but has also taken work and life into consideration to ensure athletes don’t burn out or they stop enjoying the sport!! My experience with the squad over the last 12 months has been the most amazing, exhilarating, exciting, hard, challenging and testing of my life! And results speak for themselves. He turns average athletes into World, National and State Champions. I am already looking forward to summer weekend sets! It has been awesome being coached by you and being part of GPC. You listen to my feedback and make my program to accommodate my individual needs. I have always felt that you are easy to approach and can contact you at short notice when things change. You are always willing to help me out beyond just writing a program each week. One of the best things about being in your squad are the great people to train with and I only wish I lived in Geelong so I could do more group sets. I am already looking forward to summer weekend sets. I moved to Geelong from Texas in July of 2013. Within the first week of moving here I had met Stephane and he had a program worked out for me by the next week! Stephane got me ready for the 70.3 World Championships in Las Vegas that September through the cold Geelong winter and then started me on the buildup for Ironman Melbourne in March. Stephane has an unwavering and fierce determination for the athletes under his guidance. It starts with a true belief in each of our potentials and then follows it through by his daily commitment to each athlete. Stephane is truly excited by seeing each of us reach and exceed our goals. 1. A tailored individual plan. There are a ton of generic training plans out there… Stephane will develop a plan that suits your current fitness, racing schedule, work schedule, family schedule and any injury. He will adapt it week to week and even day to day to get the best out of your current situation. 2. Feedback. In fact, Stephane is more often than not trying to get more feedback back from us the athletes. The more feedback you give him the more you get back. Often coaches have to many athletes and it is easy to get lost in the shuffle. This is not the case with Steph! 3. Face to face time. Stephane is out there with us almost everyday and every session. He is at the pool, the track and on all the long rides. He will personally drag you on a 200km ride if he needs to! This face to face time is invaluable as he can see in real time how your fitness is progressing or not. I managed a 45 minute PB at Ironman Melbourne and qualified for the 70.3 World Championships again at the Auckland 70.3, all under his guidance. He has also nursed me through an achilles injury this winter. So, if you want to get results, work hard and spend time with a great group of people look no further! 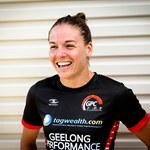 I just wanted to say a big thankyou to Geelong Performance Coaching and especially Coach Kate on her coaching, I have been a member now for just on 5 months and been coached by Kate for the same time. My improvement from last weekend’s Gatorade Olympic distance race has made me want to push even harder at training towards my goal of completing my first full ironman, and with the support and guidance of GPC I am confident of this. 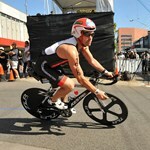 Looking forward to a great year, and my next race at Geelong 70.3. I went from being a runner that did a little riding to achieving my goal of representing Australia in the Olympic distance triathlon in my age group. Without the focus and support of my coach Stephane. This was all possible within 2 years of being coached by Stephane. The training is fun and the group is amazing bunch of people with someone to challenge you to strive to become better. Thank you Steph I could not have been as successful athlete without your coaching. My attitude to life has completely changed! I would like to thank coach Kate and coach Steph for all their hard work that they have put into me. I moved to Geelong over a year ago and I didn’t know a lot of people, they have given me a great social outlet with other like minded people in the squad along with the motivation to believe in myself. For example I joined GPC to work on my swimming and now I’m running and also discovered a passion for bike riding. Steph is a coach at the top of his game. Having been involved for triathlon for over 10 years and having competed in the World Championships in all distances I want a coach who provides an individualised and tailored program to accommodate my specific areas of focus and goals. This is also particularly important with a young family as I no longer have the luxury to commit all my spare time to triathlon. Steph delivers on all these counts. In addition, he puts in 110% to his athletes and is a top guy to boot. GPC has great coaches with no pretension. What I love is that the squad strikes an excellent balance by encouraging me to achieve my personal goals while having fun at the same. 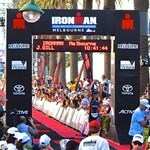 They cater for all levels from beginner to world class age groupers for all distances. Very attentive approach with personalised programs which is important for me having been in the sport for 10 years plus. 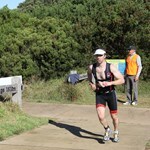 Stephane Vander Bruggen is a very passionate and knowledgeable athlete and coach. He puts in 100%. He has a great wealth of experience and understanding for the sport of triathlon. I have been on a program with Stephane from 2010. He is very understanding regarding the difficulties of training with family and work commitments. With regular feedback and correspondence he was able to write a program that fitted into my busy lifestyle. Under Stephane’s guidance, I am fitter and faster in my 40’s than I have ever been! 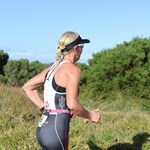 My swim, bike and run are all much stronger. I have had numerous wins and podium finishes. 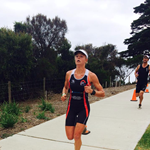 I represented Australia for my age group at the worlds New Zealand 2014. Qualified for the worlds 70.3 in Canada 2014, Australian Aquathon champion age group 2013 and won my age group for the Gatorade series 2013/14. If you have a goal, Stephane will get you there! I have achieved much more than I would have ever dream for! Thank you Stephane Vander Bruggen. 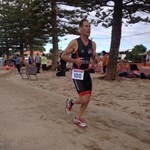 Yesterday, I finished my 5th Ironman race- IM Busselton WA. Last year, same race, I notched up an 11:11. I had two goals this year – a sub 11 hrs and a sub 4hr marathon! Well at 10:48 I nailed the first goal but missed the marathon at 4:03! Not that I am worried the priority was the Sub 11. In doing so I picked up an AG place of 15th. Stephane Vander Bruggen kindly agreed to work with me and to that end he has pushed me to places I didn’t know existed. Thank you to Stephane and his amazing squad at Geelong Performance Coaching. It’s still hard for me to believe that at 52 years of age and over 20 years in the sport I could still improve on my previous personal best at Ironman by over 40 minutes, as well as, going sub 10 hours for the first time. Your support and guidance as coach is the only reason for my dramatic improvement. Your commitment and dedication to your athletes along with your impressive ability to prepare each individual for their goal race, is rewarded by the amazing results they have achieved, including world championship titles. My time training as part of your squad will always be one of the most fondly remembered chapters in my life. The combination of hard work, fun and friendship while training is a special attribute you have been able to perfect. The things you have taught me about nutrition, recovery and training intensity are priceless and will benefit me well into the future. I was very apprehensive about joining GPC as I was overweight, unfit, non-athlete and in my 50s. I spoke with Coach Kate and she assure me that I would be fine as she would tailor my training to suit me and what I wanted to achieve. Eight months later I have lost heaps of weight, toned up and achieving things I never thought I would ever be able to do. Thank you Coach Kate for your understanding coaching approach with me and thank you to the GPC family for their support and friendship. 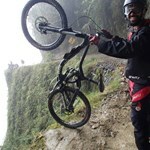 Right balance of training hard but also having fun! Stephane was my first coach for triathlon and is one of the most knowledgable and most experienced people I have come across in the sport. From technique, to training, diet and racing he has provided me with some of the most valuable advice that has helped me to become a better athlete. His experience in swimming, running and cycling is unmatched. He uses two decades of experiences to help us become better athletes through training smart, hard and also balancing work/family other commitments. Stephane’s all round approach to training and the way in which he provides support to is first class and I highly recommend him to anyone considering coaching, most of all he is able to find the right balance of training hard but also having fun! 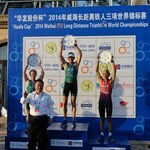 I met Stephane at the China Long Course World Champs, and he inspired me so much in 5 days I decided to join the squad. The commitment, care, support and energy he puts into looking every athlete is incredible, and I’m fortunate now to reap these benefits. I have just completed my first ironman in a time I could never have achieved without Steph’s expert guidance and support. He believes in you and pushes your boundaries to get the results you’re chasing. He always goes over and above what his athletes expect. I was tired all the time. Was beginning to develop sore wrists (not the best when you’re a manual therapist), and just generally felt sluggish. I’m going to do ALL THREE AT ONCE. When I started, I swam one length of the 25m pool and thought… NO WAY!!! That was ridiculously difficult!!! I instantly gained new found respect for every single person swimming laps in the lanes next to me. I went for a run. I could run about 100 meters, before walking. It took me about 3 days to recover from these initially!! I then began using a “C to 5k” app on my phone, listening to voice prompts to help get me running over a 9 week period, with the goal of completing the 6km Run Geelong event. At this point I thought, I’d better get some coaching, because I’ve got no idea what I’m doing!! Best decision I ever made, because with coaching, I had a weekly program that gradually pulled me out of the sluggish person and into a fit person. 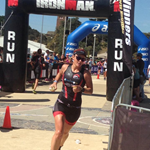 I completed my first Half-Ironman and actually enjoyed it! With more guidance and hard work, this culminated in representing my country in a world championships. Amazing. 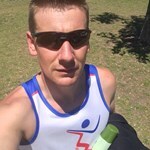 Stephane has coached me from a beginner athlete competing in sprint distance triathlons to my first Ironman in March this year, I’ve benefited from Stephane’s experience and his openness to share his insist to training and recovery methods. Having easy access to an experienced coach has helped me continually improve across all disciplines, Stephane provides one on one training and technique coaching within sessions to build on strengths and improve on weaknesses. The squad training sessions are always great value and Stephane is clear on the intended focus of the training sessions and provides personalised interactive coaching during the group sessions. My work requires me to travel frequently and Stephane has always shown patience and flexibility with my training programmes to fit in around my work schedule which was essential in the lead up to my first Ironman. Stephane is a very passionate and enthusiastic coach who looks to push each athlete within his squad to their potential and the results within his squad reflect this. Thanks for the continued level of awesome coaching. I know that as an ageing, injury-prone triathlete who came to the sport late in life and who struggles with weight-control I have posed you a number of challenges. However you have risen admirably to the numerous issues I have had to get me across more triathlon finishing lines than I would ever have thought possible. While we’ve still to crack that IM distance I’m sure that with your professional attitude to management of my program, motivation, kit advice, nutrition, race-planning, techniques in all three disciplines not to mention your dedicated approach to communication by phone, email, or social media, I’m sure we will get there. In short you are a consumate professional who offers a complete coaching service that stands comparison against any of the others. I wholeheartedly endorse your services and would commend you and your team to anyone looking for triathlon coaching that is second to none!